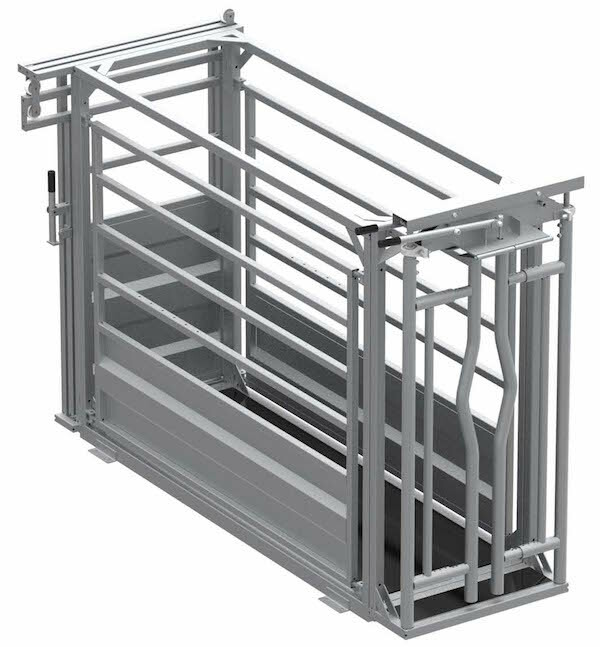 We have been manufacturing weighting and fixing cages for over 20 years. Over the years, we have been consistently developing or product based on feedback from our clients, thus, we are well aware of the features, which should characterize a good maintenance and weighing cage. A good and reliable cage reduces the level of stress experienced by the animal as well as the person using the cage, ensuring a safe and friendly environment. 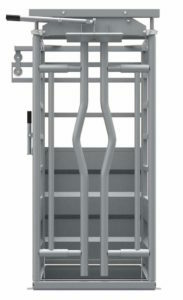 The Fesma maintenance and weighing cage is a multi-purpose cage available in three different models. 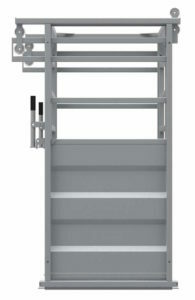 FK1- sliding gates in the front and back, higher or lower sheet metal sides. Can be (or is) equipped with an anti-reverse movement system. FK2 – automatically fixing front, low sheet metal sides and sliding doors in the back. Can be (or is) equipped with an anti-reverse movement system. FK3-automatically fixing front, higher sheet metal sides, 4 openable hatches on the sides, anti-reverse movement system, and sliding doors in the back. Animal-friendly: all operations can be performed with minimum noise. 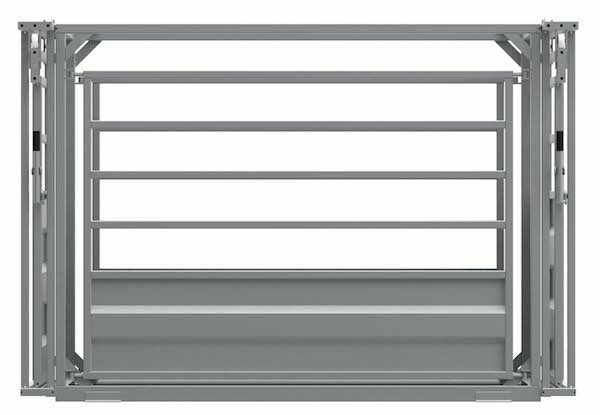 The sheet metal sides and the Kraiburg rubber mat on the floor make sure that the animal’s feet remain safe and in the cage. This ensure stress-free and safe treatment of the animal. Multifunctional: the front and back of the cage can be switched, the side panels are openable. 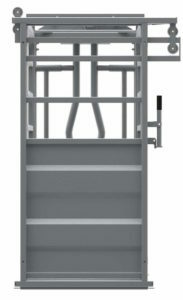 The FK1 with sliding doors is designed for weighing and selection of animals. 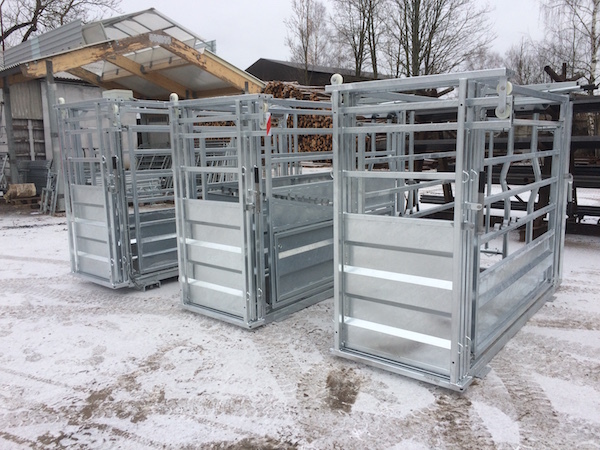 The FK1, FK2, and FK3 maintenance and weighting cages can be used without fixing the animals head with the animal left free in the cage – this is possible thanks to the extended structure of the frame. In the case of the FK2 and FK3 models with fixators, the animal is fixed automatically, but can also be fixed manually. The neck openings of the fixators are adjustable in the range of 100mm-260mm. The neck releasing levers are located on both sides of the fixators. Should the fixator close before the animal’s head is placed, it can be easily reopened, and the process can be repeated. It is convenient to fixed ear tags on fixed animals or to perform therapeutic or medical procedures. Both sides of the fixator are open, which ensures good access to the animal’s neck for veterinary procedures. 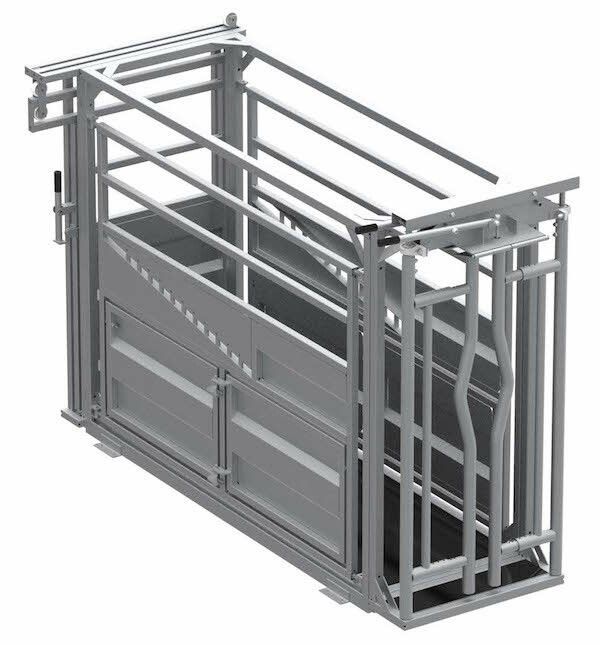 The sides of the FK1, FK2, and FK3 maintenance and weighing cages are equipped with hinges and openable in the entire extent to the side of the fixator in front or the sliding door in the back. Fully opened side gates grant free access to the fixed animal. 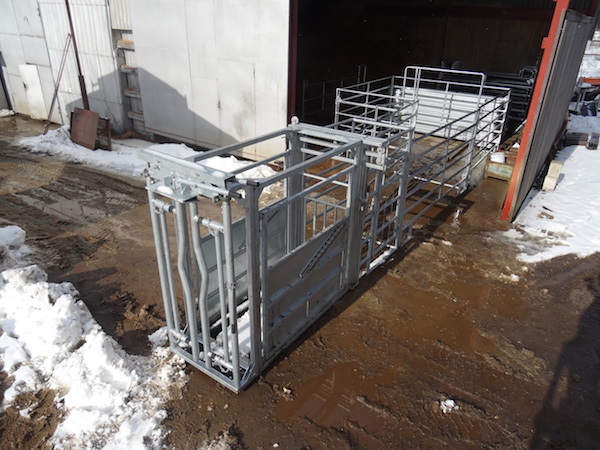 If the animal refuses to exit through the front gate or has laid down in the cage, the openable side gates provide a very good solution. 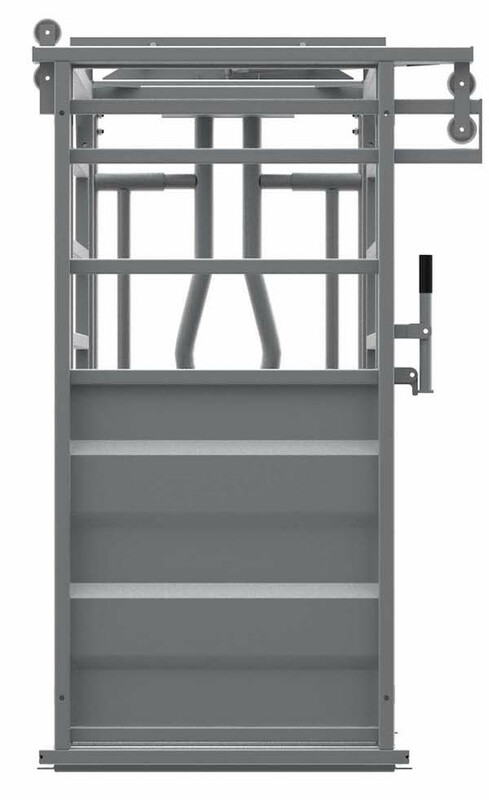 The FK3 model is also equipped with two openable hatches on both sides, in addition to the side gates. 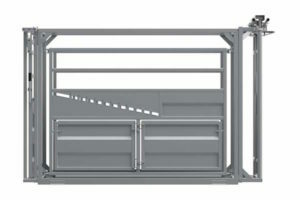 The hatches can be used when maintaining the animal’s hoofs or for familiarizing a calf with a sucking cow. The floor is covered with a Kraiburg rubber mat, which ensure a stress-free and safe walking surface for the animals. The animals can move in both directions. 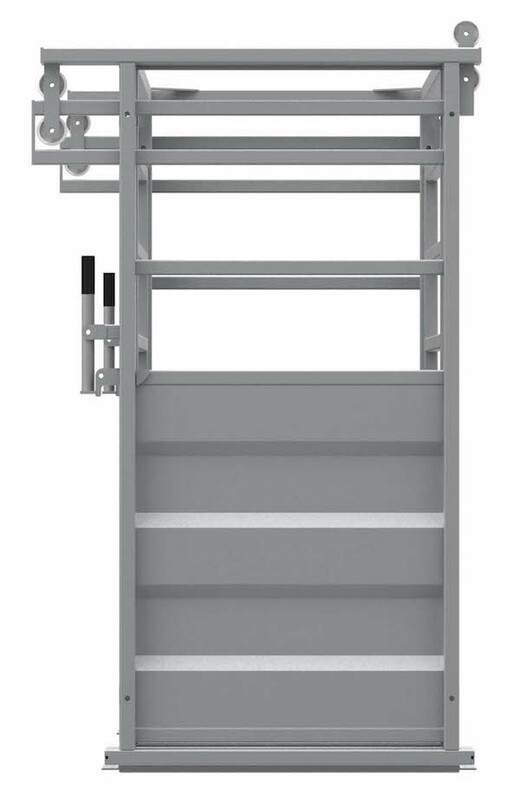 All maintenance and weighing cages can be used by right- as well as left-handed people in very different situations and locations. 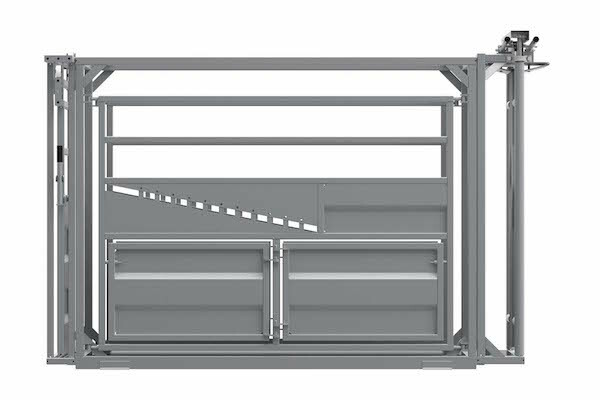 It is also possible to replace the front fixator with the sliding door in the back or switch the side gates without moving the main structure. 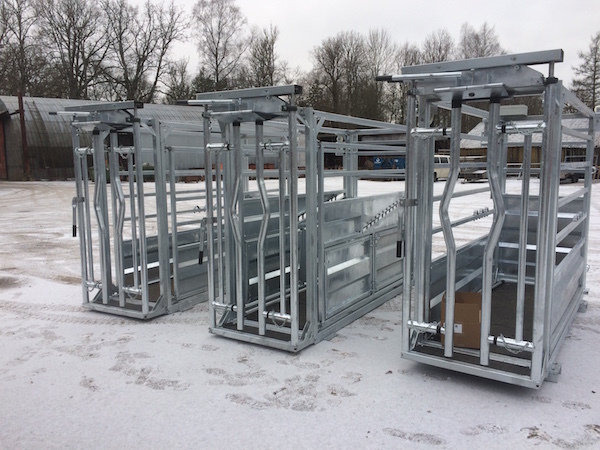 The maintenance and weighing cages are equipped with eyelets for locking the cages to light fences and the cages, as well as details for fixing the scales. Digital scales can also be used. 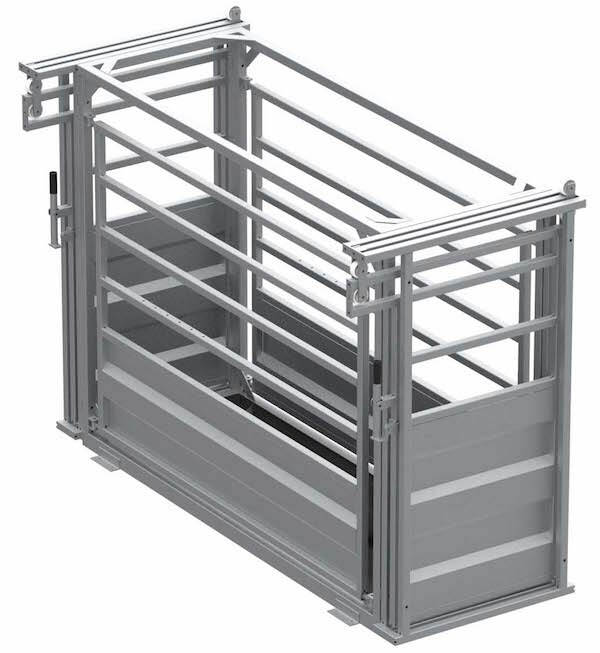 The features described above allow to use the maintenance and weighing cage for selection, weighing, fixing, treatment, or medical examination of animals, as well as for insemination.